Microsoft is committed to developing optimal solutions through technology that meets the evolving needs of users. We share Microsoft’s global vision to empower every person and organisation to achieve more. From working responsibly and sustainably to ensuring that the technology we deliver makes life better for our customers, partners and employees. Bottomline Technologies helps make complex business payments simple, smart and secure. Customers rely on Bottomline for domestic and international payments, efficient cash management, automated workflows for payment processing and bill review and state of the art fraud detection, behavioral analytics, and regulatory compliance. 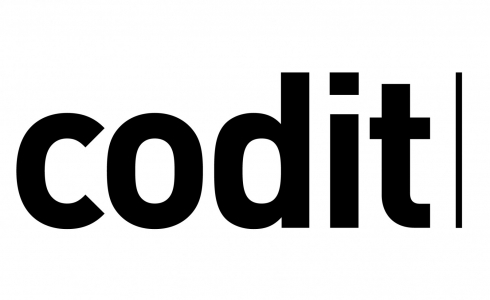 Codit is an innovative IT company specialising in integration, providing consultancy, technology, and managed services to leading brands worldwide. They successfully help companies reduce operational costs, improve efficiency and enhance communication by integrating people, applications, and things. ClickDimensions makes Microsoft technology work for marketers so they can create great experiences. Their marketing automation platform is natively integrated with Dynamics 365, eliminating the need for complex implementations and constantly syncing systems while delivering unparalleled access to CRM data for better segmentation, hyper-personalization and marketing success. Inoveretail are an Innovation Company with a mission to democratize Data Intelligence. They deliver actionable predictive models and in-store analytics tools, designed to provide quantifiable insights and recommendations to promote sustainable business growth for all Retailers. One of the UK’s foremost providers of managed hosting and support services for Enterprise Resource Planning (ERP), Customer Relationship Management (CRM), Finance and other business-critical applications. Sana helps businesses all over the world reach their full potential. They offer e-commerce through a 100% seamless integration and user-friendly web stores. This enables clients to focus on improving customer experience, streamlining sales processes, and increasing sales volume and frequency. Sana Commerce is a Microsoft Gold partner, certified for Microsoft Dynamics. Slimstock Retail’s mission is to solve specific retail issues, with focus on stock optimisation in central warehouses and automatic store replenishment. The user friendly stock optimisation software Slim4,combined with years of relevant retail experience, results in the right stock at the right time in the right shop.